Mr. Shaw is currently Vice Chairman of the Board and has been named Chairman of the Nominating and Governance Committee. He has served as a member of the Board of Directors of Premier, Inc. since May 2013 and the Management Committee of Premier Services, LLC since September 2013. He was a member of the Board of Directors of Premier Healthcare Solutions, Inc. and the Board of Managers of Premier Plans, LLC from 2012 to 2013. Mr. Shaw is the CEO of Adventist Health System in Florida, which is one of our member owners. 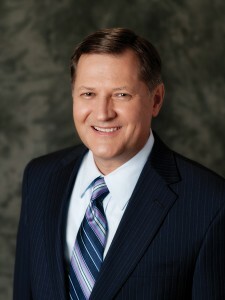 Prior to this appointment, Mr. Shaw served in various executive roles with Adventist Health, including Executive Vice President, Chief Financial Officer and Chief Operations Officer from 2010 to 2016, and Senior Vice President and Chief Financial Officer from 2000 to 2010. Mr. Shaw is currently a member of the Hospital Financial Management Association, the Texas State Board of Public Accountancy, the American College of Healthcare Executives and several other professional and service organizations. Mr. Shaw currently serves as a member of the Boards of Directors of Centura Health, Florida Hospital and Adventist Health System. Mr. Shaw obtained a bachelor’s degree from Southern Adventist University and his Master of Business Administration from the University of Central Florida.